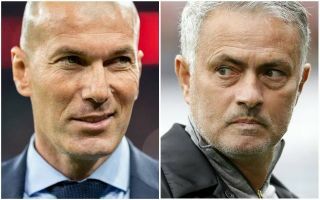 Former Real Madrid manager Zinedine Zidane has fired a warning of sorts to Manchester United boss Jose Mourinho as he continues to be linked with his job. CaughtOffside have been told Zidane has spoken to United players about expecting to be offered the chance to replace Mourinho in the near future. And the Frenchman has fuelled this talk now by saying in an interview that he’s ready to get back to work soon after a few months off after stepping down from his position at the Bernabeu. This is not good news for Mourinho, who has suffered a poor start to the season with United, losing two of his side’s opening four Premier League games. Zinedine Zidane to Manchester United if Jose Mourinho leaves? The Red Devils take on Watford away next in a difficult game after the Hornets’ superb start to the season. The Portuguese is surely on borrowed time now after failing to really take United forward, and Zidane’s availability will no doubt have some board figures at Old Trafford tempted to pull the trigger now. Zidane won three Champions League titles in less than three full seasons in charge at Real Madrid before taking a break this summer, and he seems exactly what MUFC need to get them back to their best and get the likes of Paul Pogba and Anthony Martial firing.